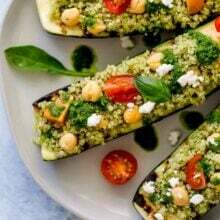 Grilled Zucchini Boats with Quinoa, Chickpeas, Tomatoes, and Basil Vinaigrette-this gluten-free and vegetarian recipe is the perfect meal or Side dish for summer! Use Your Garden Zucchini to Make Zucchini Boats! 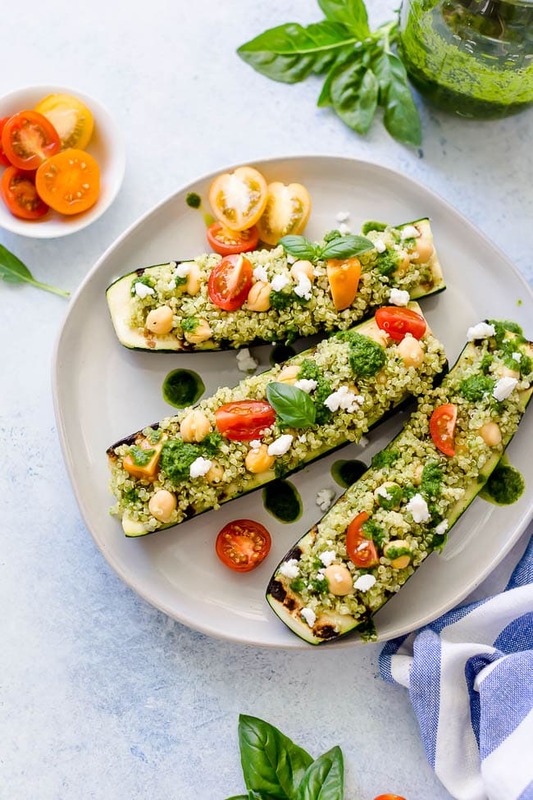 I know, another zucchini recipe but I am not going to apologize because I love zucchini and I LOVE these Grilled Zucchini Boats. Plus, I am pretty sure you are wondering what in the world you are going to do with all of the zucchini in your garden. If your garden is like ours, your zucchini is growing faster than lighting. Every day, I go out to the garden with the boys and we fine new zucchini that I swear weren’t there the day before. They are playing tricks on us! These Grilled Zucchini Boats make a delicious, light and healthy summer meal! 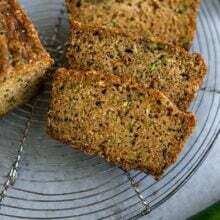 I think you are going to be happy you have too many zucchini because you are going to want to make these zucchini boats again and again! So what is a zucchini boat? Basically, you cut zucchini in half lengthwise, remove some of the seeds and flesh, and stuff them with whatever you want. I like to grill the zucchini before stuffing them because it gives the zucchini extra flavor and we are all about grilling during the summer months. If you don’t have a grill, you can use a grill pan inside. These zucchini boats are SO perfect for summer! The basil vinaigrette gives the quinoa SO much flavor. I keep my basil vinaigrette in my fridge at ALL times during the summer so this meal comes together quickly. I also like to meal prep quinoa every week so it is another staple in our fridge. If you have these two ingredients ready to go, then this healthy meal will come together in no time! I also like to add chickpeas, tomatoes, and a little feta cheese. 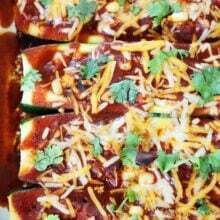 The stuffed zucchini boats can be served as a main dish for lunch or dinner or you can serve them along side any summer meal. Note-if you need the recipe to be vegan or dairy-free you can leave out the feta cheese, there will still be plenty of flavor. 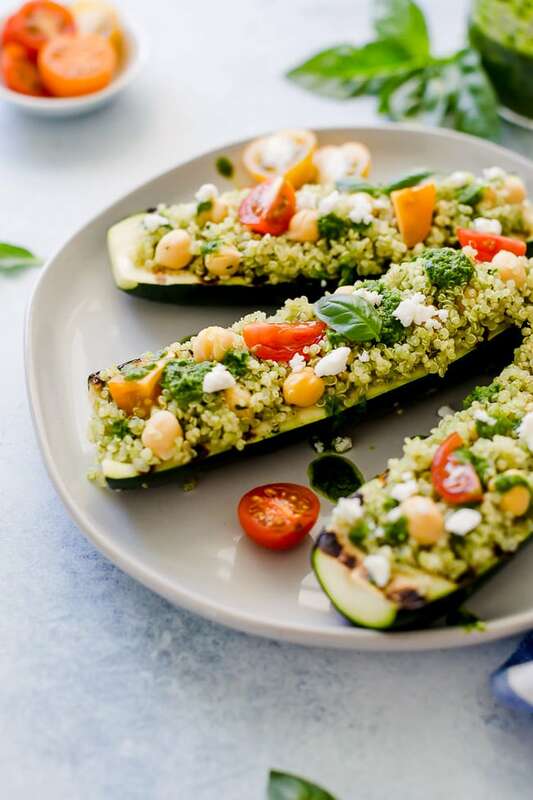 Grilled zucchini boats are stuffed with quinoa, chickpeas, tomatoes, basil vinaigrette, and feta cheese. 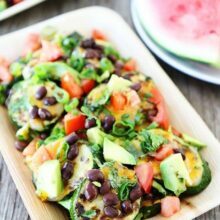 This easy and healthy zucchini recipe is perfect for summertime! Use a small spoon to lightly scoop our the seeds in the middle of the zucchini. Don't dig all of the zucchini out, just take enough out so you can fill the zucchini. Drizzle the zucchini with olive oil on both sides. Rub the olive oil over the zucchini so it is well coated. Season with salt and black pepper. Place the zucchini on the hot grill and grill for about 3 minutes on each side or until zucchini is soft and has grill marks. You don't want the zucchini to get too done or it will get mushy and not hold the quinoa. It should still be firm. Remove the zucchini from the grill and set aside. In a medium bowl, combine cooked quinoa, chickpeas, tomatoes, basil vinaigrette, lemon juice, and feta cheese. Season with salt and pepper, to taste. 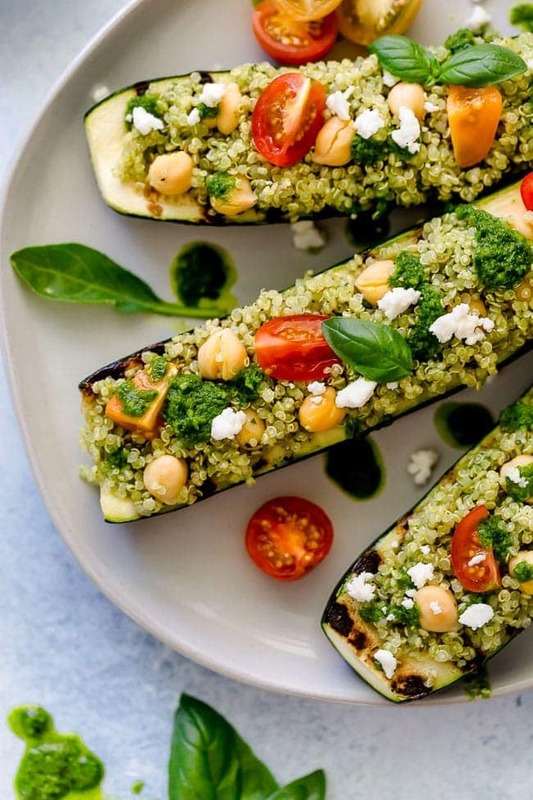 Spoon the quinoa filling into the grilled zucchini boats. Garnish with a drizzle of basil vinaigrette, basil, and additional feta cheese. Serve immediately. Ooooh, these zucchini boats are stunning! 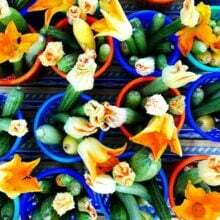 These zucchini boats are amazing, they look summery and fresh! These zucchini boats look fabulous!